When someone hurts your feelings, do you swing through Starbucks to get your double chocolatey chip Frappuccino? When you get stressed, do specific foods come to mind? Do you sometimes wonder if you think about food a lot more than your friends do? If you can relate to any of these questions, this free workshop may be helpful to you. 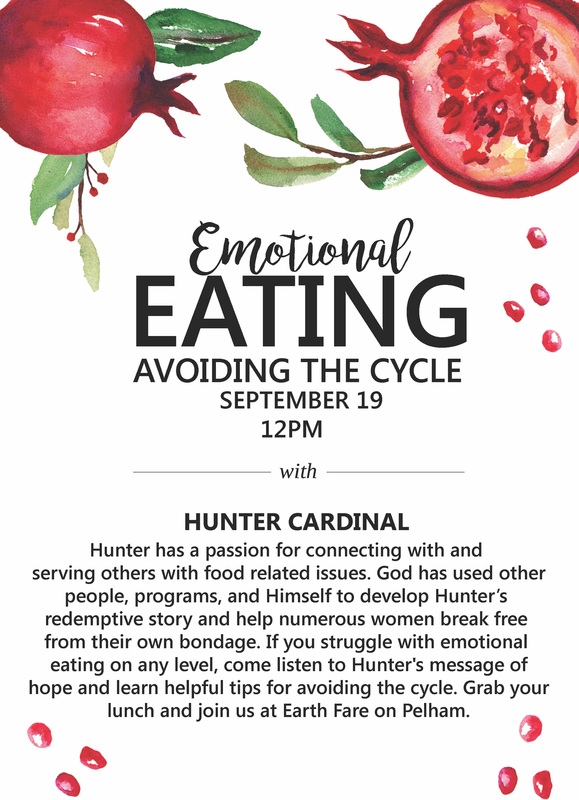 Join us on Monday, September 19th at 12:00pm at Earthfare.